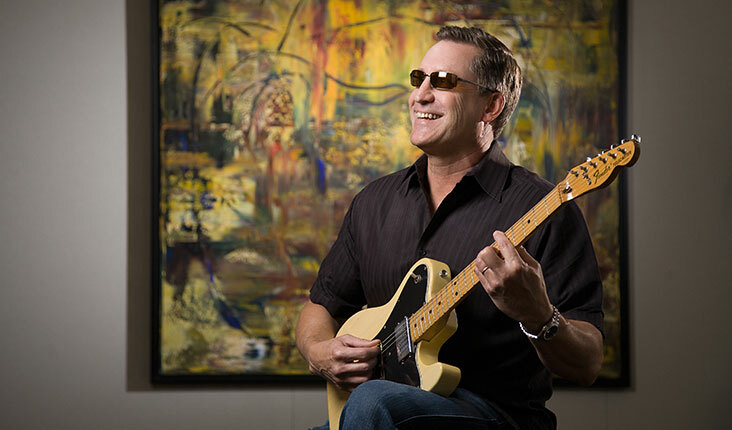 “It’s the ‘perhaps’ that really hurts,” laughs Scheel, a senior vice president at Symantec by day, and by night—well, at least seven or eight nights a year—a no-holds-barred guitarist, vocalist, and emcee for a band that donates its earnings to local schools. The Wildcats first came together 15 years ago to play at fundraisers for the cash-strapped Palo Alto public schools, which the Scheels’ four children have all attended. Scheel’s wife, Susan, was an early leader of Palo Alto Partners in Education (PiE), a foundation that provides supplemental funds to support worthwhile programs—such as art, music, tutoring, and counseling—that would otherwise fall victim to California’s statewide budget cuts. Since their first appearance on PiE’s behalf—a two-hour event where the band had to cycle through their nine-song repertoire multiple times—the Wildcats have raised more than $300,000 for the organization, which now provides nearly three-quarters of the flexible funding available to principals in the Palo Alto school district. “Most of the band members either have or had kids in Palo Alto schools, so that’s a huge motivator,” says Scheel.